CYFA does not endorse or promote equipment or organizations on this or any other page. This is information only. Concussions, head injuries, and CTE. All items circle around a hot topic in football safety. 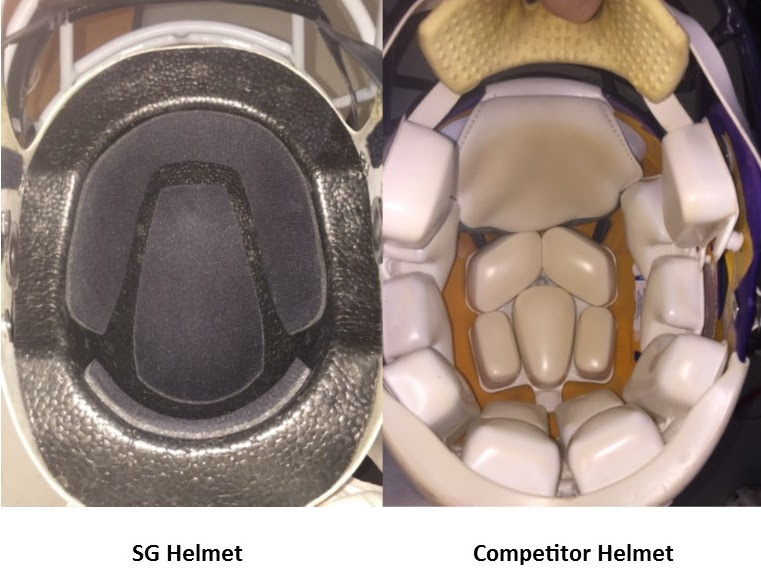 SG (Simpson/Ganassi) offers new technology with lightweight, superior protection.Which would you rather have protecting your head, air pockets? Or NASA approved foam material that disperses energy of hits to the head? The SG differs from traditional helmets because we don’t use the air pockets as protection.Everybody says something has to change, why don’t you be part of making the change in helmet technology? This is a no brainer!The time is now! Let us protect your player!We would love the opportunity to speak with you and discuss the possibilities of getting our helmet onto your players.Please get back with us via email or phone call at 317-350-2445 to discuss the options. Website—–> BUILD MY HELMET Pre-Order your 2018 SG Helmet today! Previous Previous post: Cville QB Club Teams with Midwest Sporting Goods for discount equipment.